Annette Giesriegl was born 1966 in Innsbruck, Austria and lives since 1990 in Graz, Austria. She is a vocalist who crosses boundaries, whose education started in jazz music. 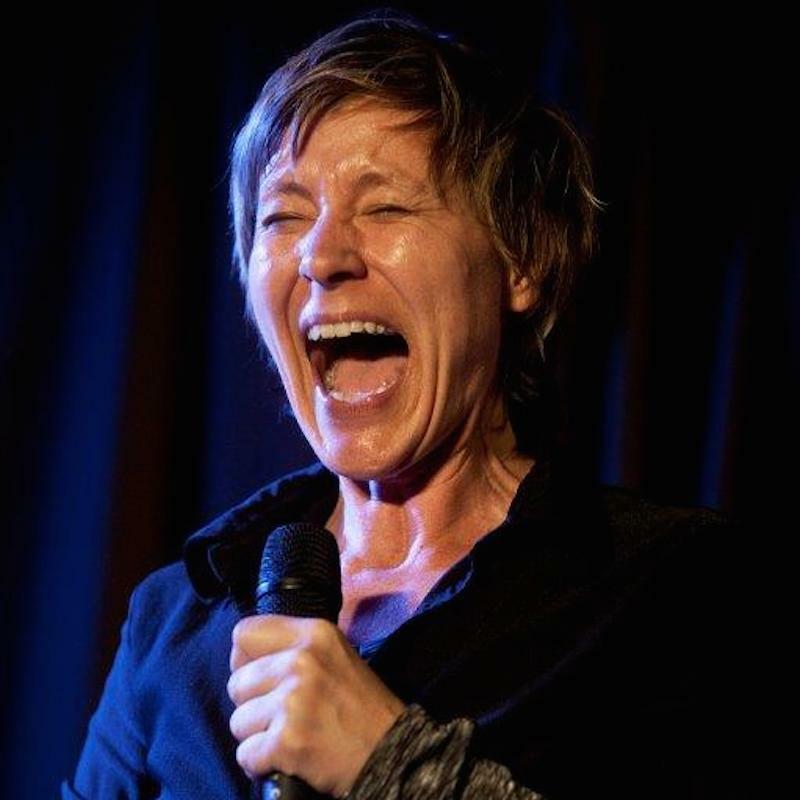 She studied jazz singing at the University of Music and Performing Arts in Graz, where she now teaches since 2006 as a Senior lecturer for Jazz Voice and Body Awareness. Her projects are incorporating musics from Free Jazz, New Music, Ethno to Experimental Music. Her latest projects are: Barcode Quartet with Elisabeth Harnik (p), Alison Blunt (v), Josef Klammer (dr) – CD released 2012 (SLAMCD288), with a concert tour in 2013 in Australia and Newzealand (Soundout Festival 2013) and Patchwork Voices, a voice project with vocalist Claudia Cervenca from Vienna -CD released 2014 (AUTO11) and the Vociferous Choir, a project with Veryan Weston (UK). CD released 2011 – (EMANEM 5015). Giesriegl is a founder and regular conductor of the Styrian Improvisers Orchestra, which performs 6x a year in Graz/Austria.